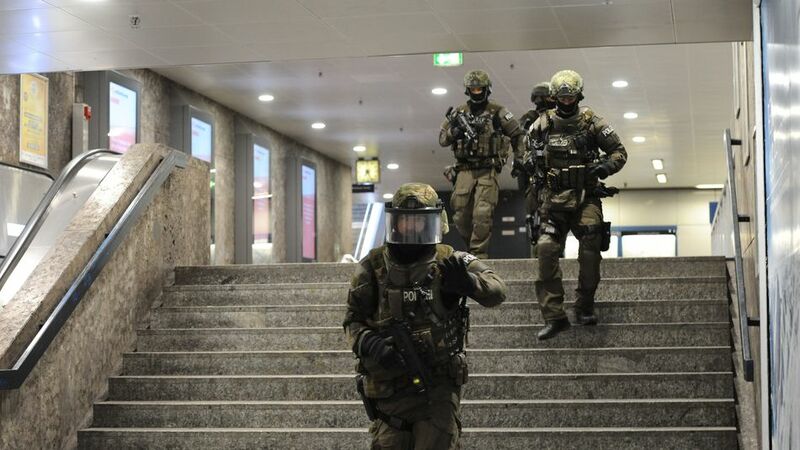 Amid reports of three men with firearms on the loose, the city's underground network was shut down, heavily armed police patrolled the streets and authorities warned people to steer clear of public places. Police said eight people were killed and at least 10 people were hospitalised. Munich police spokesman Marcus Martins said a ninth body had been found and police were "intensively examining" whether it might be one of the suspects. The attack reportedly started at around 6 p.m. local time. Early reports on social media includeda video that circulated online of a man shooting at random people outside a McDonalds in the city. Police asked people to refrain from sharing photos or video from the scene as they attempted to track down the perpetrators.